So here are some “insurance shots” I took on another section of driveway (one that had been swept down aforehand) yesterday. 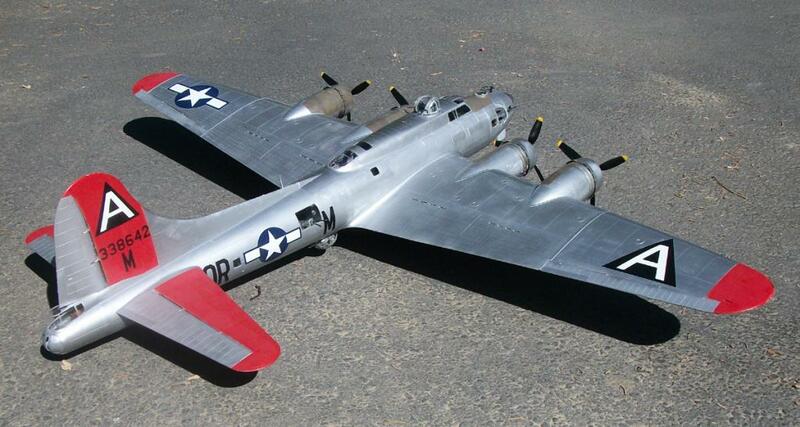 Sure like the NMF on the model Tom….well done. What I was trying for was “weathered” unpainted aluminum. 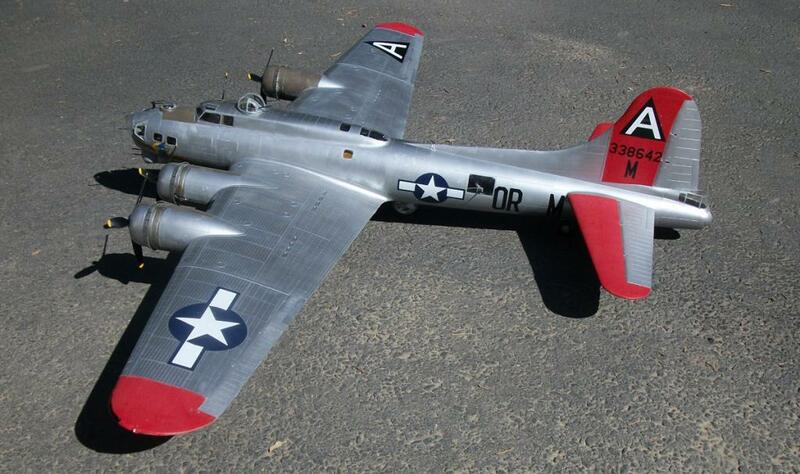 Having observed some unpainted aluminum airplanes out at Chino over the years, the metal goes sort of “multi-hue” from the sun, so I did some areas in Aluminum and in Dural Aluminum as the “area color” then went over those with a thin coat of the other color, followed by “blotching” with White Aluminum. 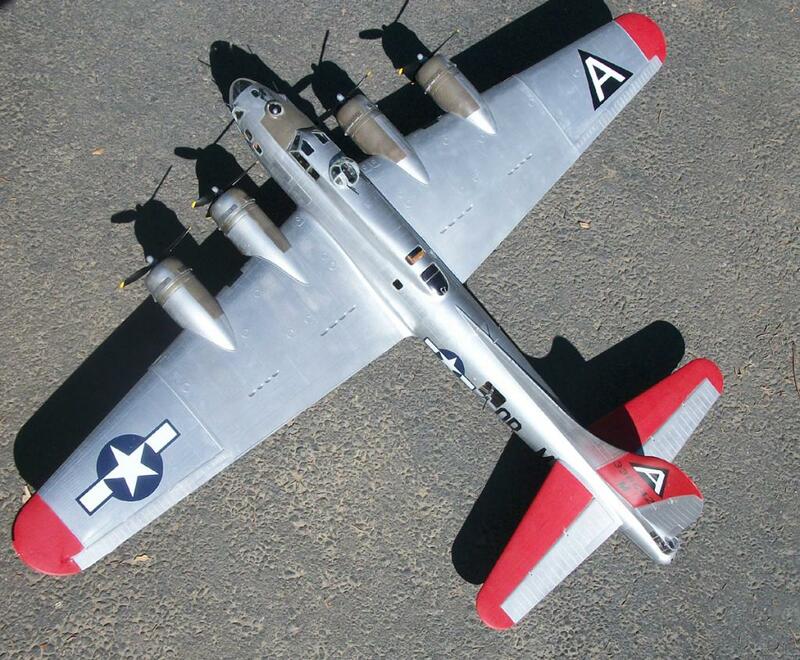 The outer wing panels are done completely in White Aluminum, to represent the lacquer silver that was painted over the OD/grey camo that the sub-contractors supplied outer B-17 wings in long after the painting instructions had changed. The anti-glare panels are Olive Drab, with Tamiya flat Khaki with a bit of purple mixed in, to replicate high-altitude UV “sun fading” – very few airplanes in the ETO got “sun faded” sitting on their airfields. Beautiful work (or am I repeating myself?) Looks great, Tom. Yeah, cloud cover can be real buzz kill and the comments about John Q. Public trying to spin the props … that must have been more than maddening. The the paint scheme or rather the representation of “bear” ( as in omg there is acres of plastic)metal adds to the effect of showing off this model very well. 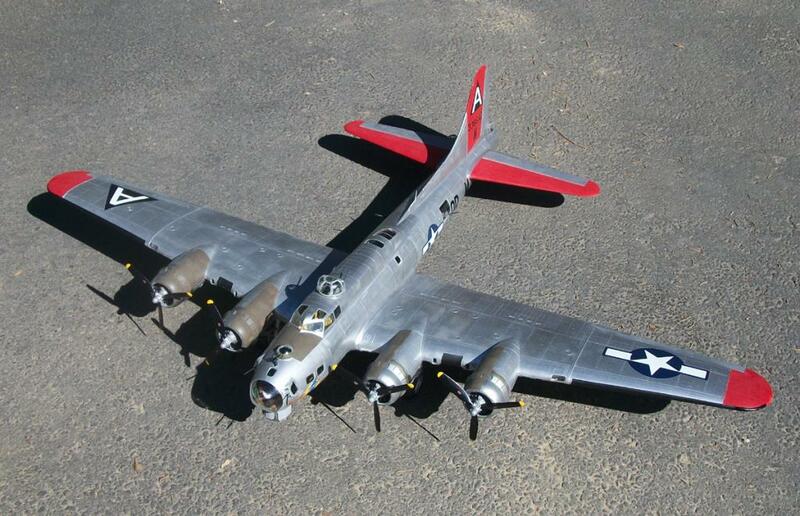 I’ve been going over lots of war time photos of unpainted birds and they really got dirty and the rivets and panels all seem to oxidized at different rates and the grain of the panels present themselves as different shades of metal. 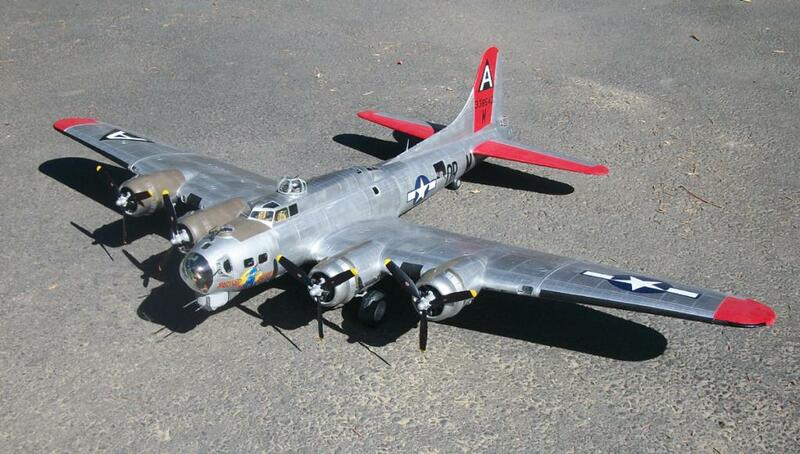 As you have done here in your efforts your technique of painting adds to the B-17 feel and look. 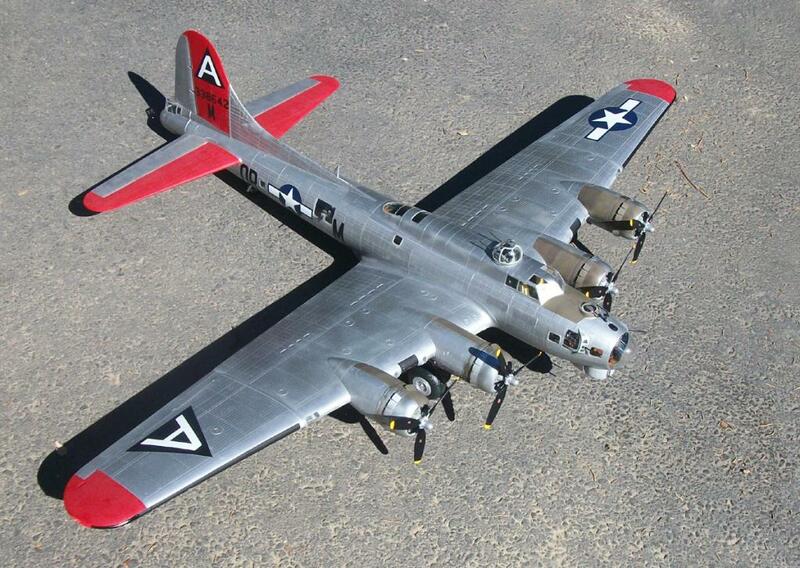 Two thumbs up…but, then again I’m a prejudiced viewer who likes the kit and I’ve never met a B-17 I didn’t like. Very impressive build there mate. I would like to build something this big but I wouldn’t have anywhere to keep it!